Today we can place an order at the other end of the world, but what's the point if we then have to wait weeks to receive it? Can't the delivery process be improved by offering personalised follow-up?At a time when all online stores are accessible from anywhere in the world thanks to our tablets and smartphones, why can't we ship and receive a package in all corners of the globe? These are questions that everyone has asked themselves before. And they are a core strategy of GeoPost, our business unit dedicated to express parcel delivery around the world. And with good reason: e-business is booming. In 2017, according to figures from the Fevad (French federation of e-commerce & distance selling), the number of purchases made online has increased by 14% in France1. 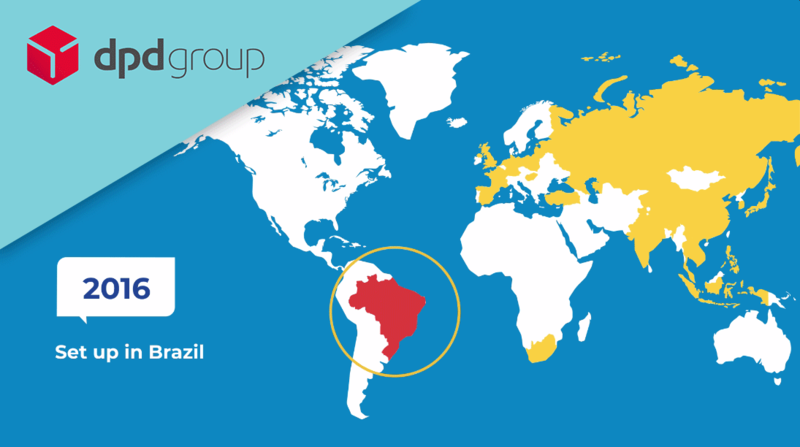 Worldwide, there was a 17% increase, as measured by the international audit group Mazars2. And by 2020, the global market could exceed 3 trillion euros3 and the international parcel market will have more than doubled. By then, it should be worth $325 billion. These figures might be a little overwhelming, but in this now ultra-competitive market, the challenge for GeoPost remains simple: to go from being no. 2 in Europe to the European leader. Ambitious? Yes. But there are things in our favour. Starting with our network. A true web of 840 hubs connected by some 600 international routes and 20,000 delivery partners, working for 360,000 customers. GeoPost continues to strengthen its presence through an active policy of acquisitions in the express parcels market. Already established in 23 European countries, our business unit is multiplying equity investments in dynamic markets such as Russia, Kazakhstan, Belarus, Brazil, South Africa, Turkey, South East Asia, and French-speaking Africa. GeoPost's offering has already been expanded with a multitude of services adapted to local markets in order to better meet consumer needs. This includes the possibility of collecting a parcel at one of the 32,000 European pick-up points or one of the thousand French automated lockers in our Pickup network, and the option to choose the time and place of delivery thanks to 'Predict', or track the shipping of a parcel in real time through the MyDPD portal for example. This is one way for us to meld customer satisfaction with efficiency and control of our carbon footprint, something which more and more local authorities are appreciating. As GeoPost wants to stay the course and affirm its position, the business unit regularly invests in sectors with high potential: food, with the launch of Chronofresh; health, with BioLogistic, a major player in the transport of healthcare products in France; and the transportation of small and large parcels by courier with Stuart. The parcel market is not immune to the era of immediacy. This is why GeoPost is expanding, with numerous acquisitions and innovative initiatives, to better anticipate the needs of today and tomorrow, in France and the rest of the world.